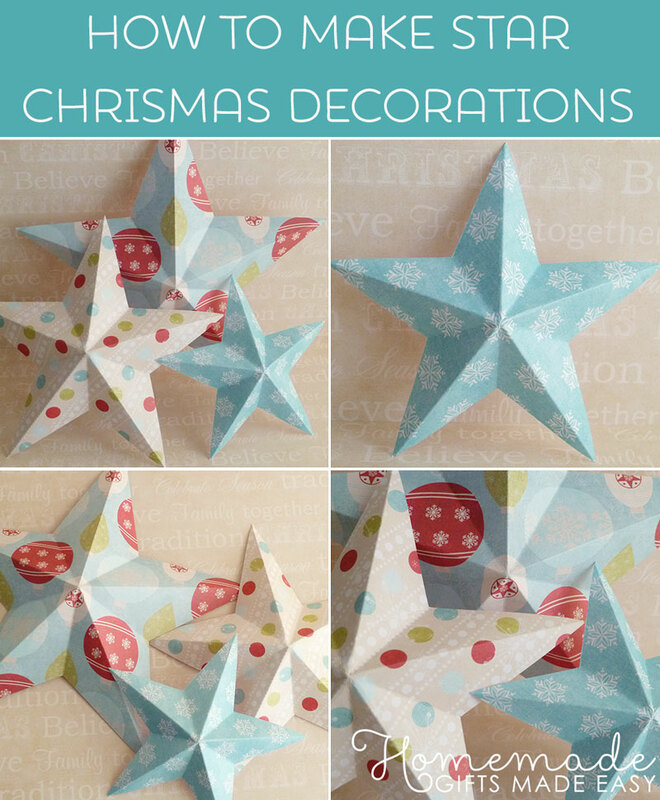 Welcome to my tutorials for making Christmas decorations! 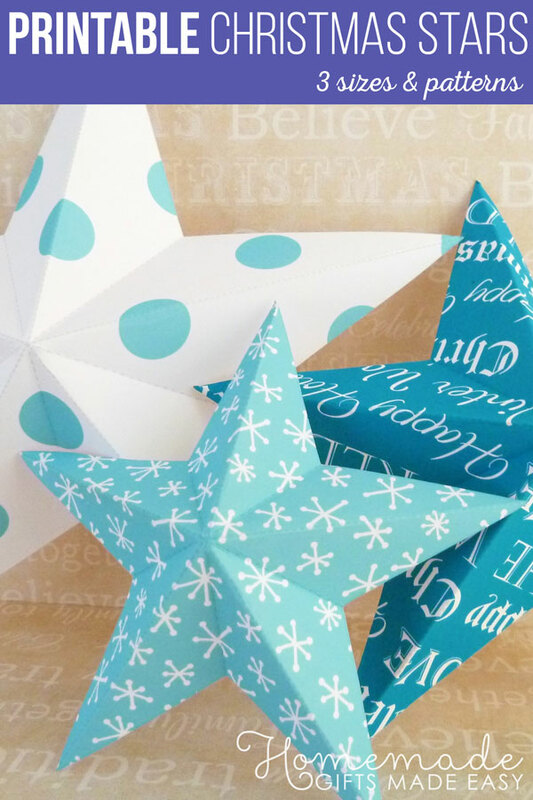 I'll show you how to make 3D paper stars, plus loads other beautiful homemade ornaments like balls, wreaths, snowmen, and bunting. 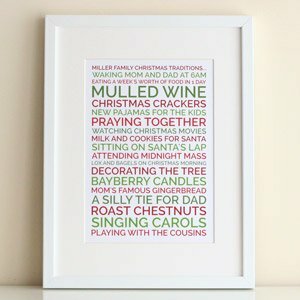 They'll look lovely hanging on your Christmas tree or even just brightening your mantlepiece. 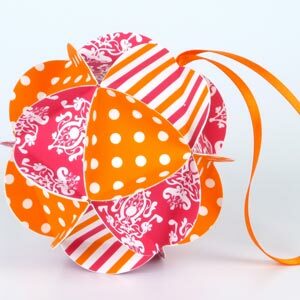 They're super easy to make, especially when you use my free downloadable templates. 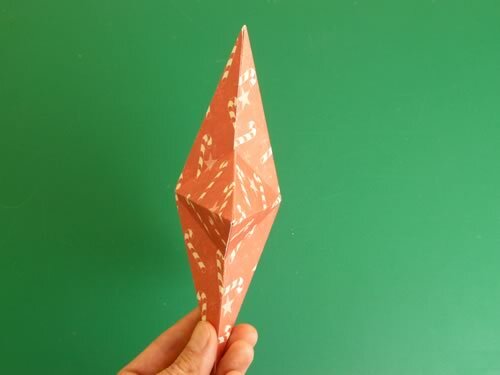 Want to make other decorations? 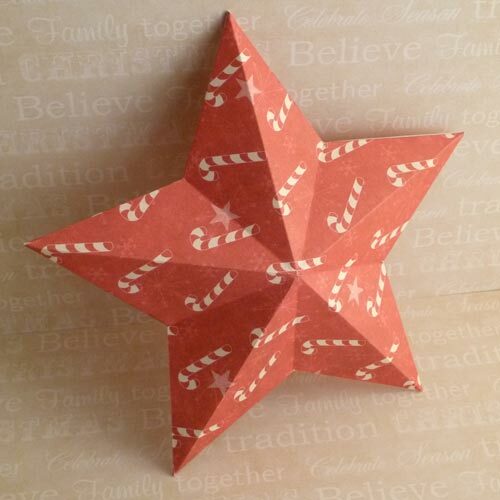 The single sided ones are great if you're only ever going to see the front side of the star, e.g. for on your mantlepiece, or on your wall, or for embellishing a wreath. 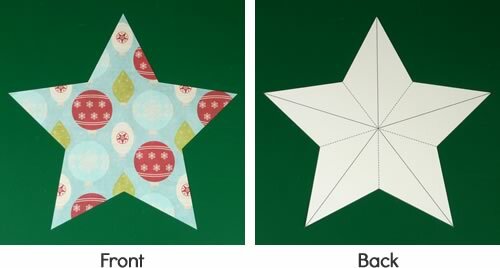 The double sided style is great for making decorations that you can hang from your tree or put on top of your tree, where you're likely to see the star from all angles. This digital scrapbooking paper is especially designed for this project, with a coordinated set of 3 patterns. 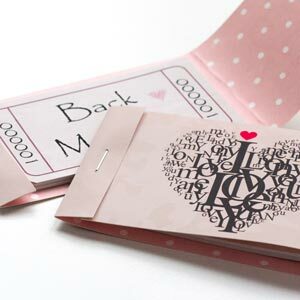 Printing onto normal paper works OK and printing onto card stock or matte photo paper works even better. 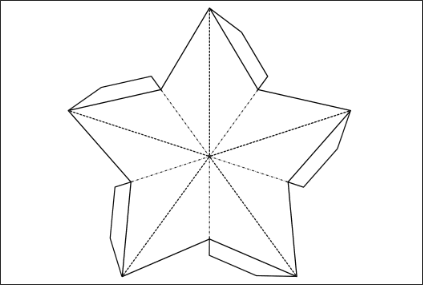 Download the star template. 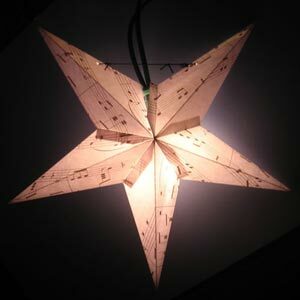 It comes with three sizes of star, which are approximately 8, 6, and 4.5 inches. If you traced the star then you won't have the lines on the back but it doesn't really matter. 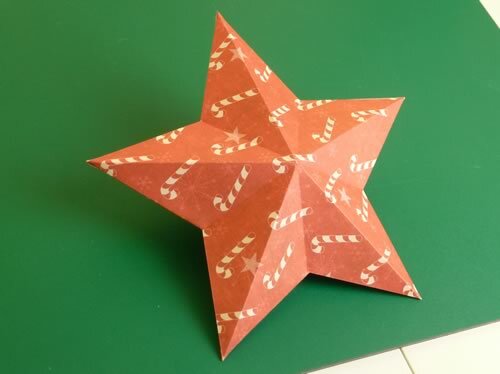 Place the star blank side up, then fold one of the arms of the star in half like this. 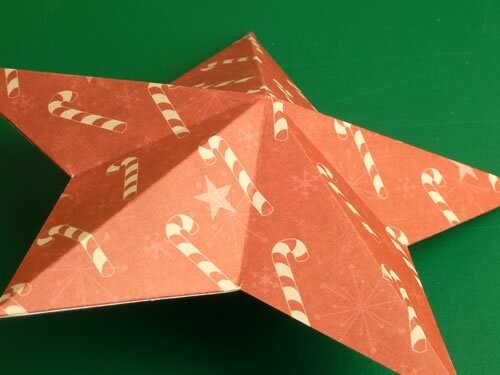 The fold only needs to go to the middle of the star, not all the way across. Unfold, then repeat for all the other arms of the star. Place the star patterned side up. 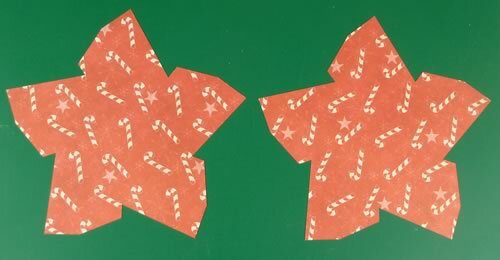 Fold in half like this. 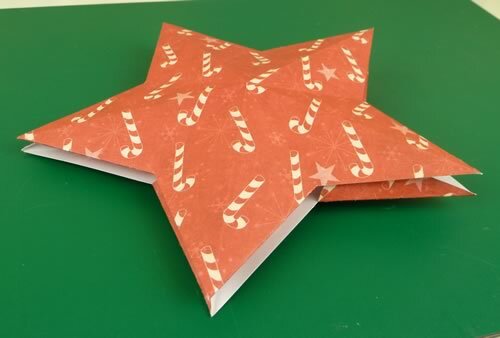 As before, the fold only needs to go to the middle of the star. 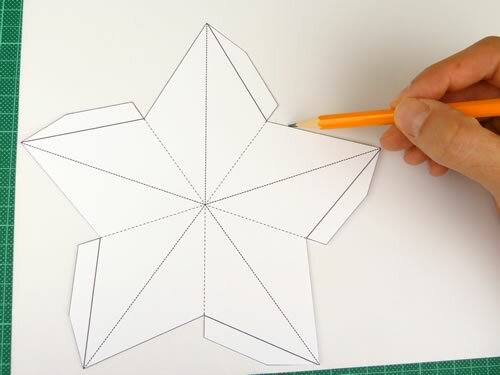 Unfold, then repeat the rest of the way around the star. 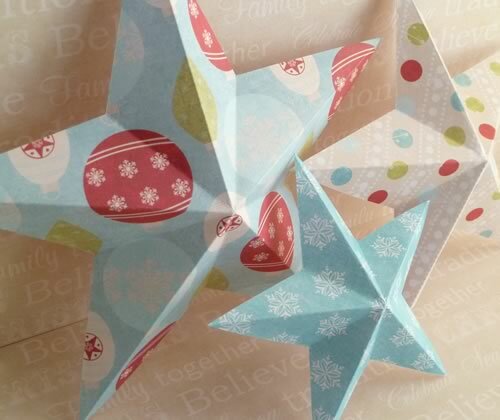 Download the template for the double-sided 3D star. It comes with three sizes of star, which are approximately 8, 6, and 4.5 inches. Do the same on the other star piece. 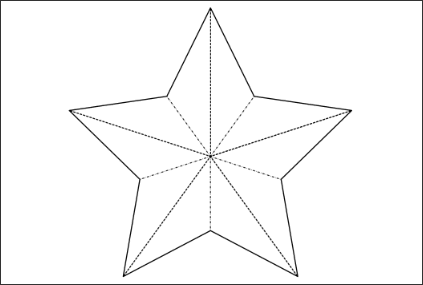 Place the star blank side up. 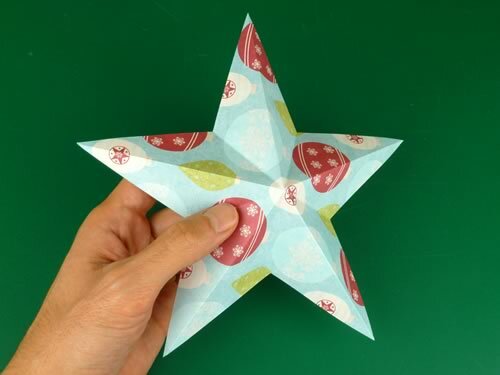 Fold one arm of the star in half. 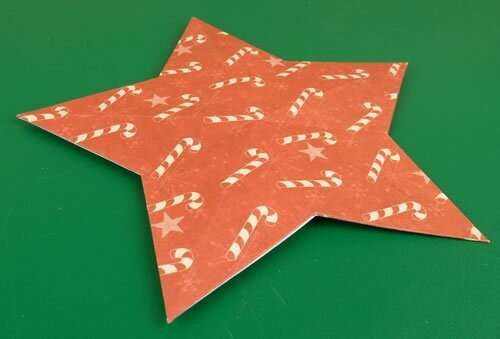 Crease only to the center of the star, not all the way across. 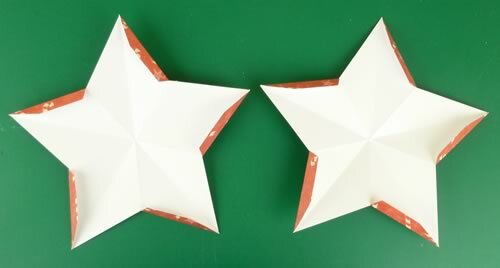 Unfold, then make the same crease on all the other arms of the star, and all the arms of the other star. 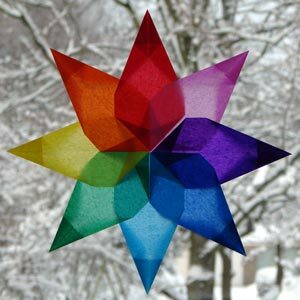 Unfold, and repeat the rest of the way around the star, and also on the other star. 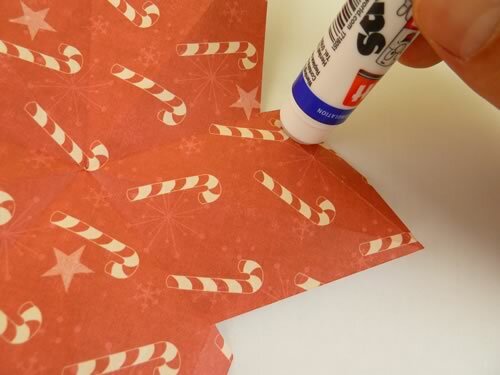 Put glue on each tab. It helps to work on some scrap paper so you don't get glue on your desk. 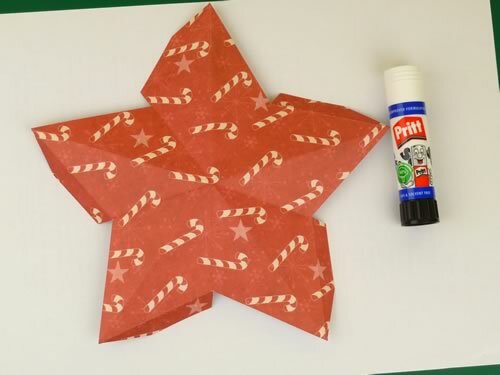 Put glue on the other star in the same way. Put the two halves of the star together. 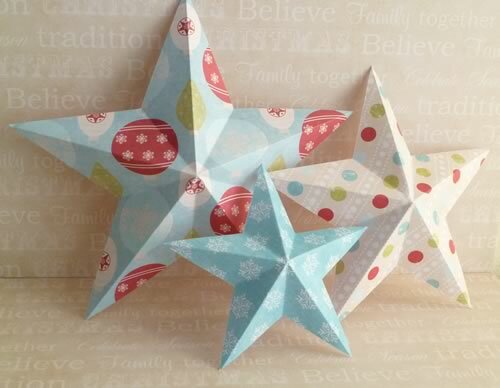 Now for the fun bit - making your star 3D!!! 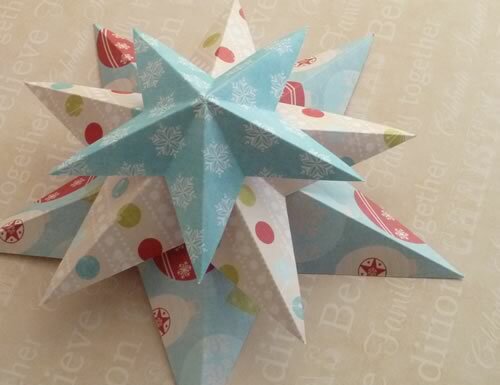 How did your 3D Christmas star turn out? I hope you had as much fun making Christmas decorations as I did writing this page. If you have any questions or comments, or just want to say hi, please use the comment box below.